Caring for a loved one with cancer is a crash course in what it means to be human. It has shown me highs and lows at a pace I never thought possible; a pace that the individual’s cancer often defines. Cancer really lays it all bare, and yet it still complicates (to put it lightly). Although I truly believe that there is more good to take away than bad, it doesn’t mean that it’s easy. Nothing can prepare you for the powerlessness you’ll feel at times, or the anger you’ll face for simply having someone you love be put in this position. But if you’re open to it, you might also gain the most incredible sense of perspective and value, even when faced with the potential negativity emanating from this disease. When I met Daniel, I didn’t expect to enter into a relationship at all, much less have brain cancer brought to the table. But there we were. He didn’t want to let on to the gravity of the situation. Being so exhausted after three years of more downs than ups and just trying to have some sense of normalcy to keep him sane, he didn’t make cancer a focal point of our relationship at all. But I quickly learned more than I ever thought possible about the far-reaching, all-encompassing aspects of a loved one faced with, fighting, and ultimately living with this disease. I want to share with you the unexpected empowerment and hope that I found in the past year. It came in the form of three major ongoing lessons. TAKE CARE OF YOURSELF. If you don’t take care of yourself, how can you expect to take care of someone else? This age-old advice regarding self and also commonly applied to relationships is completely true, in my opinion. This is not to say that you can’t be human and have bad days, because you will. But how you deal with the rough patches will directly affect the person you care for, even if you don’t think so at first. Burying the unavoidable emotions is not “dealing”, as I found out the hard way. When we suddenly moved to Seattle to continue his treatment, I stayed up late, watching mindless TV that was as far away from our reality as I could find. I ate crappy junk food because it was comforting. And I started feeling really out of touch and powerless. I was sitting around, waiting for something good to happen instead of taking control of any one aspect of my life that could bring us both a very real optimistic outlook. When Daniel said he was worried about me, I finally made the a change because I knew on top of everything else that he was going through, he could NOT be worrying about me. I share this because I feel that it was a very natural lull in what had previously been months of overdrive, and before we suddenly moved, we had had a normal life. Cancer will flip life upside down, but it doesn’t have to permanently dictate how you take care of yourself, and in turn, your loved one. Re-evaluate each day: check in with yourself as much as possible. I feel that my need to take care of another was reinforced by my awareness of my own stability, which is something we both deserve in these difficult times. 2. ASK QUESTIONS. I roll my eyes at cheesy analogies, yet here I am referencing one – this metaphor for “treatment as sport” has stuck with me after reading it on a cancer-related forum: When it comes to your health, don’t stand on the sidelines and watch others make all the moves. You are the MVP in this – you have the ultimate say, even if you’re sometimes not made to feel like you do. Don’t underestimate your own involvement in creating a treatment plan you believe in. As a patient, you have every right to present information that exists, even though the process of finding it can be hard to navigate. Sometimes, a caretaker will become involved in direct decision making as well, helping to put together the plays in this very complex game. This is my take, having entered into Daniel’s life at year 3 since his diagnosis. It has been tumultuous, to say the least, and he’s run the entire gamut of traditional therapies available to him. His cancer is very rare, and not something that even the most experienced oncologists/specialists have seen too often. Sometimes total and complete optimism is not readily available, because there are so many unknowns. Everyone, including medical professionals, operate within their own spectrum of information they find realistic (“what works vs. what doesn’t”), and if you don’t get the answers or the hope that you want, you need to jump on another spectrum and try to find it there. I firmly believe this. It’s not easy; there is a lot of frustration to be had spending time, energy, and money to explore leads given to you by professionals and non-professionals alike. 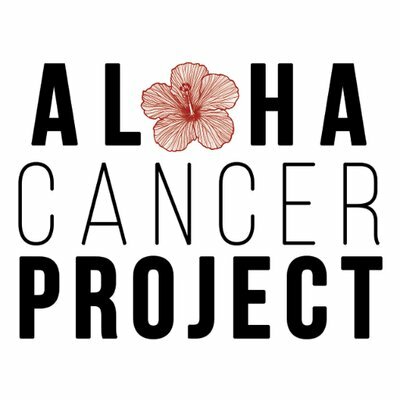 But if you can take it upon yourself to understand as much as you can about your loved one’s specific cancer, their suggested or chosen treatments, the purposes and side-effects of their medications and supplements, what their blood work or other test results mean, how their diet affects them, etc., then you have a lead (really, a bunch of leads!) – you have information available to you, and therefore, empowerment. Don’t be made to feel inferior or out of control – the presence of the disease alone will do that to you. Ask those questions and go from there. No one can stop you from exploring any facet of this disease, and there are many! I have seen information immediately followed by hope, and that’s reason enough for me to believe in this. 3. LIVE IN THE NOW. It’s been said time and time again, and there’s a reason why. It’s really all we have. You can spend your time worrying about the future and the potential for pain and loss, which is naturally at the forefront when dealing with this disease. I’m not saying that the uncertainty will ever get easier, because it’s hard to live in limbo. But I’ve found that the safest, most real place for me (with or without cancer in my life) is right where I am now. The perspective this has brought to my life is startling. For a long time, I thought I was being naive or stupid for turning away from the “what ifs” of the future, but I strongly believe we would be a lot worse off if I hadn’t. The truth is that nothing is guaranteed anyways (and boy, nothing reinforces that like freakin’ cancer)! Daniel might have cancer, but I could get nailed by a car when I step outside, so why let cancer ruin both our lives when none of it is TRULY set in stone? There is no real certainty in the next ten minutes, so I may as well find a way to handle right now. Flip the switch: if you’re not happy with what you’re doing or feeling at this moment, ask yourself why and try your hardest to move away from the negative, and towards something – ANYTHING – positive that makes you feel good, even if only “in the moment”. This was hard to understand, but I look back now and I see that a bunch of “right now”s became some good hours and then some good days. There may be a little fear or uncertainty scattered in all the moments, but it still feels good to know that I chose to be happy however I could so that I could share that with my loved one. You can create something positive out of nothing in an instant, and that is endlessly powerful.